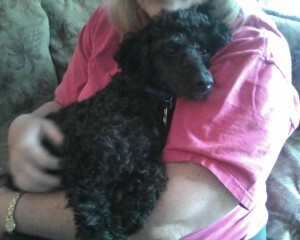 -Beautiful, I love my Georgia Poodle Rescue baby! Amazing job Debbie♥️ -Carol W.
-Can’t imagine my life without my Lilly! 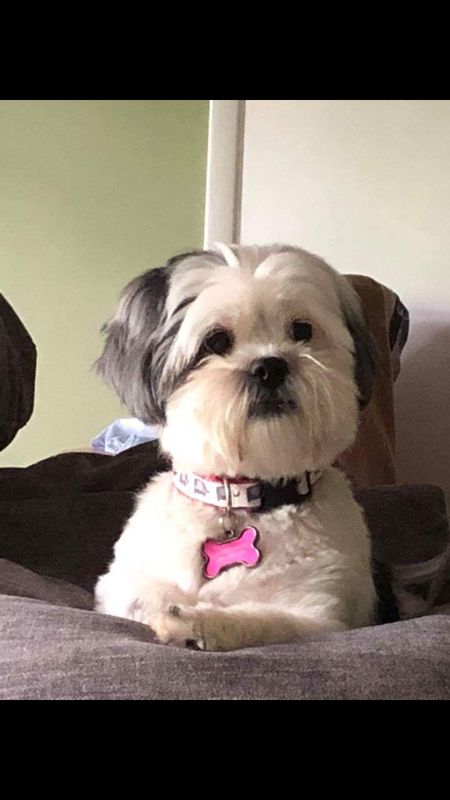 Michelle K.
-We adopted our Iris almost a year ago and we wouldn’t know what to do without her. We love her dearly and may looking for another one soon. Debbie we will be in touch soon. Thank you for the joy of our life. Toree S.
-I posted a review a couple of months ago! Y’all are fantastic, and we adore our baby that came from you!!! Lauren F.
-Debby is a wonderful person to work with. We have had our Fiona for three years and Debby and GA Poodle rescue are fantastic. I would rescue from them again and have referred my friends. Patty W.
-I love my Murphy (orig. Monty). He is such a sweet baby. Got him from you almost 4 yrs. ago. Also, he has never been sick since I got him. Diane S.
-I have tried for 3 days to put a review on Google Maps. Finally gave up. People who say bad things should not have the dogs. You only make sure they are going to safe homes. We have had Brook and Misty for 2 years now. We love them so and appreciate you for caring for them. Thank you. Marty D.
-Georgia Poodle Rescue, led by Deborah Blatchley, has over 6,000 FB followers and supporters! We have many repeat adopters. We clearly disclose our policies and will only adopt to people who meet our policies. This is for the safety of the dogs who come to us. We have adopted thousands of dogs. There seem to be some people spreading ugly lies on the internet. They are people who’s applications were denied. They didn’t read the policies as the application asks. Then they retaliate with lies trying to hurt our dogs chances of being adopted. There was even someone in 2015 who lied and said we stole their dog! They would not provide us proof the dog was their dog. All people who give their dogs to us must always sign an owner surrender form. Another person gave us the dog and said they were the owner and signed the form saying so. Because of those lies, Deborah was wrongly arrested. The case didn’t even make it to court and was thrown out. We have many reviews and testimonials from our adopters and from other people and will be posting them here for all to see. andSome people who don’t read the policies as the application asks, submit an application, and then become angry and retaliatory when their application is denied due to not meeting our policies. Then they retaliate with ugly lies on the net. We certainly don’t want our dogs around people like that and neither do the people who give their dogs to us to find them good horoved and then they become retaliatory and post ugly and incorrect information on FB. Most people’s applications who are not approved understand. But sometimes there are crazy people who post lies on the net because their applications were denied. If they bothered to follow the directions in the application and read our policies then they know their application would be denied. This is for the safety of our dogs. People don’t want the dogs they give us around crazy people and it us our job to screen the applicants to help ensure this. -Comment from Ann M. of Eatonton, GA! 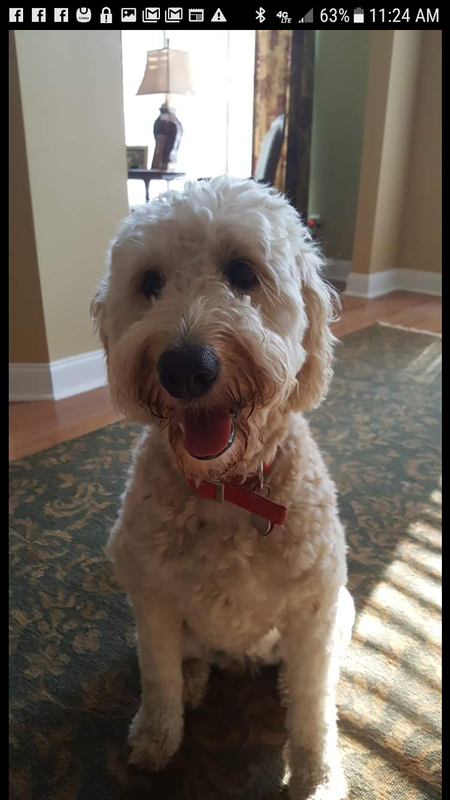 [We are not adopters and live out of state, but] my husband and I really like Georgia Poodle Rescue’s philosophy, training and screening of potential adoptive “parents”. 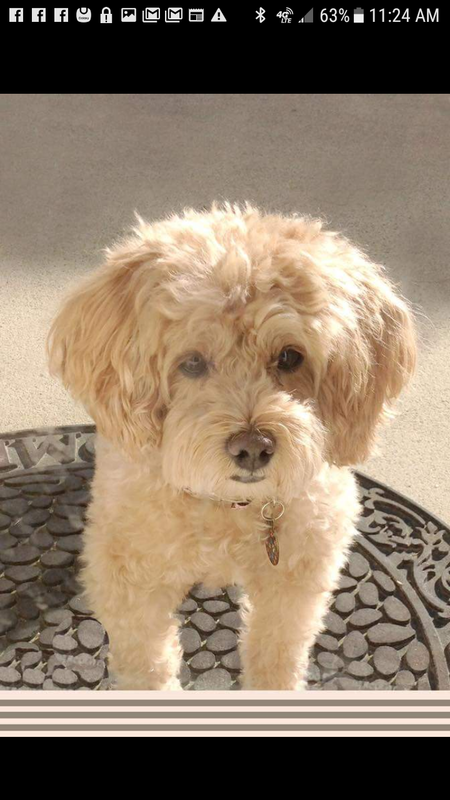 We have a combined 29 years experience with poodle mix dogs. -July 2013 Comment From Owner Surrender of Gabby! Oh Debbie, I am so glad you sent those wonderful pictures of Gabby and her new family. Makes me proud that she gets along with everyone. Her new MOM and DAD are proud of her I can tell. I made the right choice for her. I love and miss her, but can see she is in a very caring home. -July 2013 Testimonial for Jerri, adopter of Wesley, nka Bobby! This is Jerri B. I adopted the white pom Wesley (renamed Bobby) from you last December. 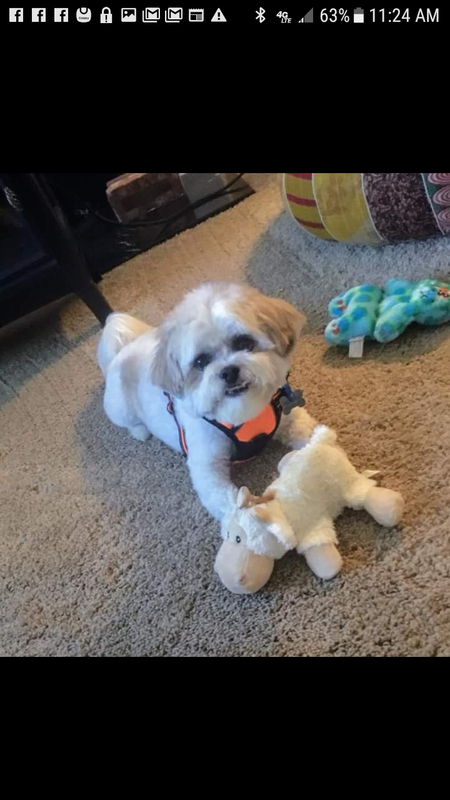 I wanted to let you know what a wonderful little dog he is! On his petfinder website it said that your group rescued him from a shelter on his last day. I have said many times to family and friends what a waste of a life it would have been had he been put down. He is joyful, happy, loves riding in the car, completely house broken, plays fetch and dances on his hind legs for treats. He had to have been someone’s beloved pet. He sleeps at the foot of our bed every night and has taken long road trips to North Carolina and Florida. He is a great traveler. He is doing so well and I just wanted to thank you again for rescuing him and allowing me to adopt him. We love him dearly. -July 2013 Testimonial From Sharon, Adopter of Sterling! This is our 5 month anniversary and Sterling is doing just fine. She had a bath today (kitchen sink) and a blow dry on the counter top. We are enjoying walks and cuddle time. She has a best friend on the hall (a Pomeranian named Bella) and they chase miniature tennis balls up and down the hallway and tussle with each other. It is really fun to watch them. Coming off the elevator, Sterling sometimes makes a dash to the other side to sit at Bella’s door. They have several play dates each week. I tell everyone who stops to play with Sterling that she came from Georgia Poodle Rescue. -June 2013 Testimonial From Karen, Adopter of Adam and Polo! “…. I wanted to let you know they are doing beautifully! I can’t imagine life without them. They are very obedient and everyone who meets them are impressed. They get along with all of the dogs they’ve met and the neighbor’s cat. Of course, I tell everyone where they can get ‘one’ just like them, including the cashiers at PetSmart and PetCo. Today was the second day my boyfriend and I took them out kayaking. We think they are really enjoying the water and the boats. Another couple and their 2 dogs went with us. We stopped midway to get out and romp around and potty then back on the boats to paddle around. Adam loves to stand and sit on the bow of the boat as we paddle across the lake or along a tributary. Polo prefers to sit a little closer, but loves swimming more. When they decide they want in another boat, they just jump out and swim to it. They wear sporty life vests the entire time. I’m getting ready to make their annual vet appointment and then their second grooming. Our groomer just loves them and says they are excellent clients! I keep their ears and eyes cleaned daily. I know my vet and the girls there will fall in love! I’ve taken lots of pictures over the last 3 months and will send you a few thru my phone, in case you want to post them to your website. We are standard poodle owners for 20 years and understand your policies. Thank you for what you are doing in GA. Pete and Melanie M of Philadelphia, PA.